Elder Road Books (formerly known as Long Tale Press) brings us another 24-hour daily ebook giveaway! Please read on for more information . . .
by Phillip C. Lemmons, Esq. When parents become unable to protect their assets due to infirmity or death, your inheritance is vulnerable to attack. 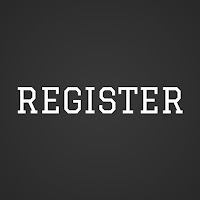 Usernames, passwords, certificates of title, deeds, identification cards and physical possession are all that stand between your inheritance and cons. Parents plan for incapacity and death by going to an attorney for a will, trust and power of attorney. While those instruments are useful for managing and transferring assets, they are useless in protecting them against theft. Instead, they create greater vulnerability because they must be carried out by someone else and are easily amended, revoked and obtained by cons through manipulation and forgery. Cons hide in plain sight while planning strategies to steal your inheritance. They blend well because cons never look like cons. They look like your friends, relatives and neighbors. They resemble your trusted accountant, investment advisor and minister. They are also perfect strangers. Once they decide to steal an inheritance, cons are relentless. They don’t stop until everything is taken. 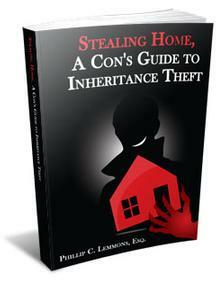 This book brings awareness to inheritance theft. It also reveals six steps to wiping out an entire estate. Becoming familiar with those steps will help you identify cons, detect suspicious behavior and take preventative action before it’s too late. For the next 24 hours only (deadline: June 7, 2012 at 2:00 pm EST), you can receive your very own e-copy of Phillip C. Lemmons, Esq's adult non-fiction book. Simply email ElderRoad@comcast.net with the subject line STEALING HOME and specify eBook format (ePUB, MOBI, or PDF). You can visit Nathan Everett's social media site, Writer's Cramp for the latest on the new Elder Road Books website and their upcoming releases. Thank you to Elder Road Books for sponsoring this giveaway! This is such a sad topic! Thanks to Elder Road books for offering this to bloggers. (no need to enter me).